From August 8-12, in the Warm Heart of Africa, Malawi, pastors and leaders gathered for the Malawi PALCON. 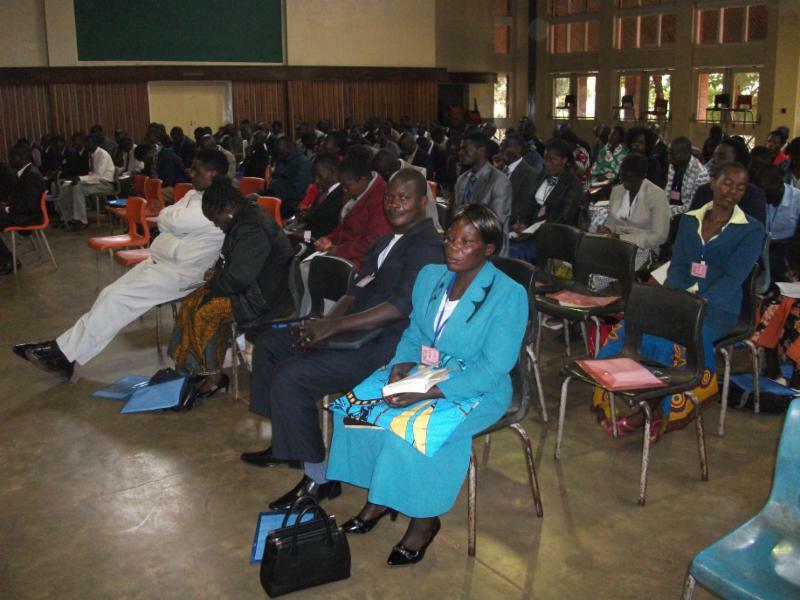 The conference was attended by district superintendents, pastors and lay leaders from the 5 districts in Malawi. The theme of the conference was, Prepare the Way of the Lord. There were 143 participants for this conference. The invited guests were Rev. and Mrs. Paul Mtambo, Africa Southeast Field Strategy Coordinator, Rev. and Mrs . Mashangu Maluleka, Africa South Field Strategy Coordinator, Rev. Gary and Penny Sidle, missionaries to Zambia and Education coordinators for ASEF, evangelist Rev. Larry and Mrs. Tamhla Leckrone from USA and Rev. David Allen, the Africa Region Finance Coordinator. The topics that each guest covered were varied and timely for the place that Malawi and the church finds itself. The topics discussed were leadership lessons, church growth and development, stewardship, the call and role of an evangelist, reaching our cities for Christ (Urban Ministries) and the process of making disciples. Each special visitor covered one of the topics above. Each evening, the parcipatns were challenged with the powerful preaching from Rev. Mashangu Maluleka, who was anointed with the power of the Holy Spirit. His preaching could take 2 hours, but the audience wanted to hear more. Rev. Maluleka was able to communicate and expound the Word of God in the Africa way, preaching the holiness message and helping the people to understand sanctification in their context. Every evening after the preaching, the alter was full of people who want to present their burdens to God while others were renewing their relationship with God. On the last day Rev. Paul Mtambo administered the Holy Communion to all participants including the guests. The participants testified that this conference was one of the best conferences in the country, and their lives were equipped and challenged. They thanked the organizing committee.